Sugar Peak Leaf Growth will promote healthier, stronger leaf and stem growth. 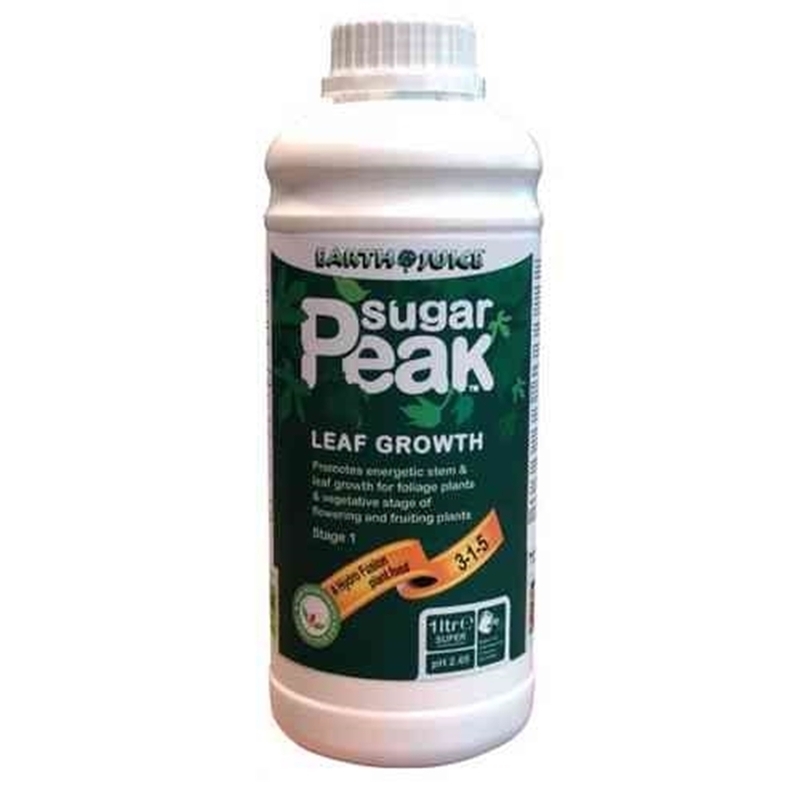 Leaf growth has a fine mix of hydro-fusion blends balanced to create a formula which stimulates energetic growth in the vegetative stage. These Hydro-fusion Blends are a specifically chosen mix of natural organic elements, Bio-Enhancers and nutrient complexes. 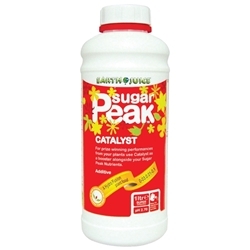 Combined they will aid Leaf and stem growth as well as assisiting sugar transportation for increased yield with a bulky, sweet finale.